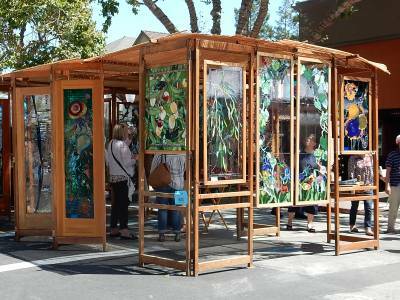 Celebrate the 38th annual Palo Alto Festival of the Arts on University Avenue in beautiful downtown Palo Alto, August 24-25, 2019 from 10am-6pm, hosted by the Palo Alto Chamber of Commerce. Highlights include 300 talented artisans from all over the country, as well as throughout the Bay Area, bringing hundreds of one-of-a-kind art pieces and artisan crafts presented in an awe-inspiring display of creativity and talent. 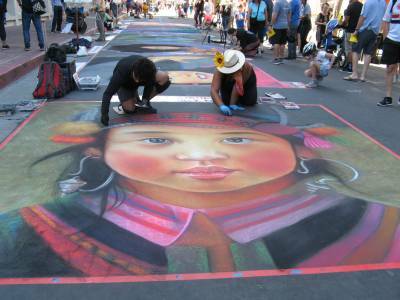 Witness the amazing street artists use vivid chalk pastels to create impressive works of art on the pavement. This multifaceted arts celebration also features artists-in-action, entertainment, and a Kids’ Art Studio. 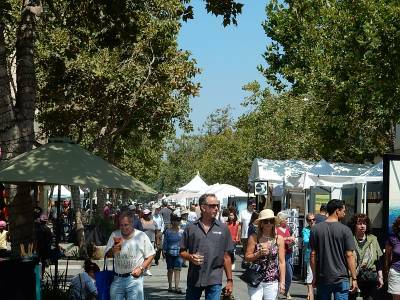 Then stroll through the festival enjoying a tempting assortment of tasty foods, fine wines and microbrews. Located 35 miles south of San Francisco. Public transit and free parking make visiting the free-admission festival easy and convenient. For more information contact the Palo Alto Chamber of Commerce, 650-324-3121 or http://www.mlaproductions.com.